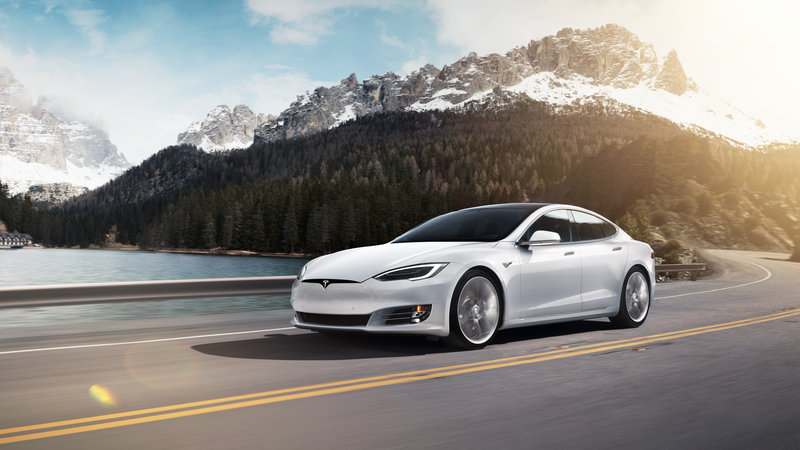 The German government is asking 800 Tesla Model S buyers to pay back a 4,000 euro EV subsidy after regulators found that the company was exploiting a loophole in the law. For now, the electric automaker is footing the bill, while it appeals the issue with German regulators. The German Federal Office for Economic Affairs and Export Control (BAFA) allows electric cars to receive a 4,o00 euro subsidy if the cars starts at under 60,000 euros. The entire model line can benefit from a low-price model, so Tesla listed a Model S for just under 60,000 euros. It wasn’t exactly like the pricy Model S we all know and love; it came without features standard in other markets, like navigation and a backup camera. The Germans claimed that salespeople would tell customers the model wasn’t available. The model seemingly existed only to make sure the Model S line qualified, meaning this stripped version granted a 4,000 euro subsidy to the P100D. Now, you can actually buy the stripped Model S, meaning the subsidy is now back and everything is legal. But 800 Model S buyers are being asked to pay back subsidies they received before Tesla fixed the issue. So Tesla, to its credit, is offering to pay that on owners’ behalf as it challenges the German regulator’s decision. This is a completely false accusation. Anyone in Germany can order a Tesla Model S base version without comfort package, and we have delivered such cars to customers. It’s important to note that the incentive price was intentionally set by the German Government at a level that was specifically intended to prevent Tesla cars from qualifying for it. As a result, Tesla planned to make an appeal to the EU trade commission, as this was against EU rules. Instead, Tesla and the German Government agreed on an acceptable middle ground that allows Tesla to sell a low option vehicle that qualifies for the incentive and customers can subsequently upgrade if they wish. That is exactly what Tesla has done. Every Tesla customer can order their car online and select whatever options they like. It is clear from that ordering page that a Model S can be ordered without the comfort package. If a sales person told a customer they could not buy the Model S base version without the comfort package, this is not accurate and clearly outside our policies and procedures and we will investigate and take appropriate action as necessary. While it’s unclear who’s to blame for the entire debacle, it’s nice to see that the customers aren’t the ones being screwed here. The conflict is between Tesla and the German government, so the buyers shouldn’t have to pay. Good on Tesla for that.